We’re looking back on a few special memories from 2018 before we ring in a new year! Eagle Athletics had a year of success on the court and field, winning TAPPS State Championships in girls basketball and boys tennis, and State Runner-Up in football! In addition, soccer, boys basketball, softball, baseball, and volleyball all had playoff appearances. Varsity cheer won their camp division, received a bid to Nationals, and will be competing for the national title this week in Florida! Student-athletes signed to play on the college level in football, tennis, and basketball. Fine Arts had continued success on the stage as our choir became back-to-back TAPPS Vocal Music State Champs! Our production of “A Christmas Carol” earned nominations for 3 Betty Lynn Buckley Awards and Honorable Mentions in four categories from Dallas Summer Musical High School Musical Theater Awards. In addition, our Symphonic Band won Sweepstakes Awards at both the TPSMEA Band Contest and TAPPS State Band Contest. Students had opportunities to connect with each other and in service to others. Junior and senior boys went on a leadership trip whitewater rafting the Royal Gorge. Our middle school program was recognized for 10 years of service to Meals on Wheels, and high school students served on local mission teams or mission trips to Colorado and El Salvador. We hope you’ll take a moment to reflect on all your blessings in the past year and look forward with us to a spectacular 2019. If you want to know more about Lake Country Christian School, join us for our next Open House on January 14, from 5:30-7:00 PM. 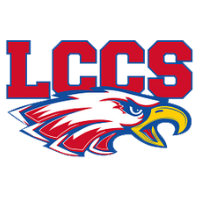 Register at lccs.org.